Order in the next 3 hours 3 minutes and your package will dispatch on Friday, April 19. 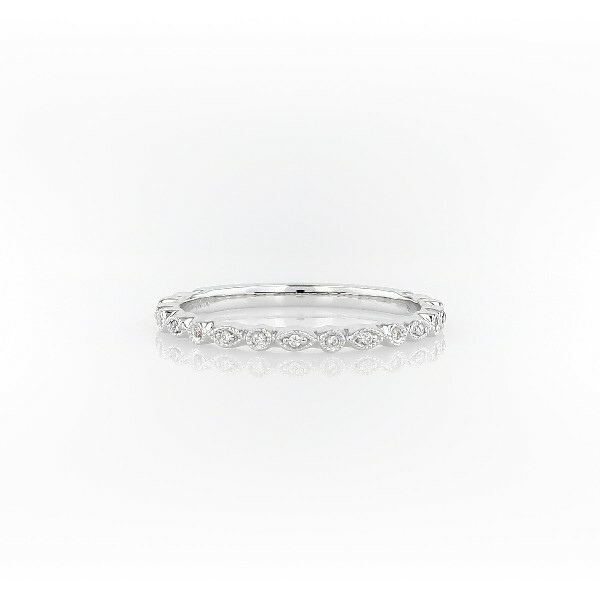 Fashion-forward, with a hint of vintage inspiration, this petite diamond dot ring is crafted in bright 14k white gold. Thirteen petite diamonds line the ring, each accented by a delicate milgrain pattern. Wear alone for subtle sparkle or stack with other rings for an on-trend look.